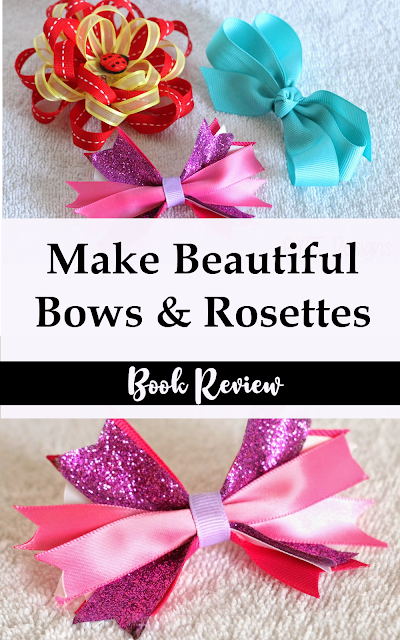 Are you in need of a cute bow or rosette for that sweet little girl in your life? Maybe you want something special for Easter or Christmas? 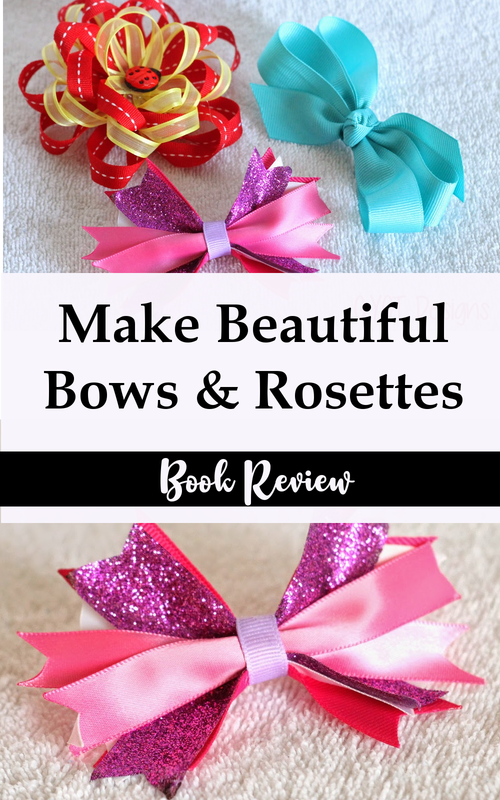 How about instructions on making 50 beautiful ribbons, rosettes and bows? Today I am SUPER excited to share with you a little book review for my blogging friends Deanna McCool from Sew McCool. 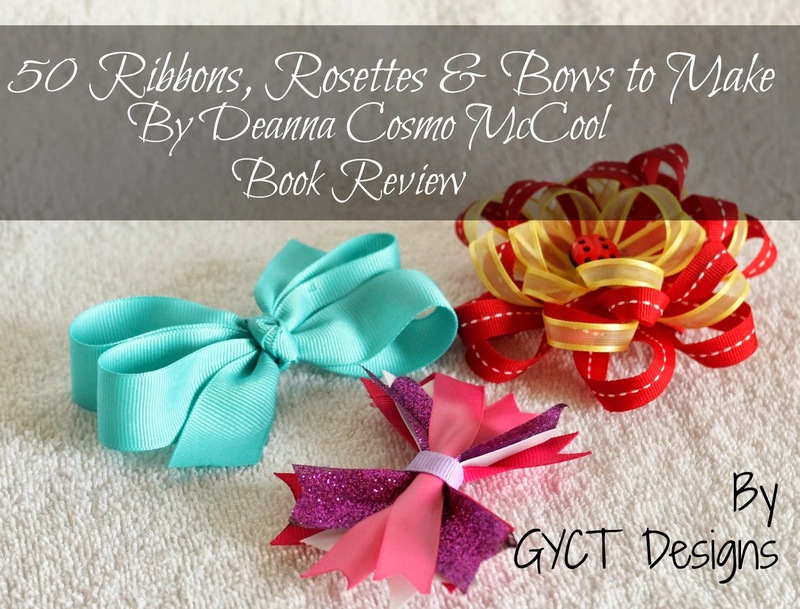 She just released her book 50 Ribbon, Rosettes, and Bows to Make and I am so excited to review it here on the blog. AND for the giveaway at the end!! First off, doesn't this book just look amazing! Those cute little models on the front. SO CUTE!! I promise, it is totally worth it. One reason I was excited to get this book is it is all about ribbon crafting. But now I am so excited because it has TONS of information on ribbons in general. The entire first part of the book is understanding different ribbons and what they are best used for. Which, I will admit, I had no idea about. It was pretty amazing. I mean I have made some bows before like the Mini Korker Bow or even the Perfect Hairbow. But they are nothing compared to these amazing bows. I was like a little girl in a candy store! For each ribbon, Deanna has what supplies are needed and cutting instructions. She also has several steps on how to create the bow along with colored sketches on how to do some steps. Most bows require a bit of hand-stitching and then maybe some hot gluing. This is the first bow I made . Love the look! I am even going to try this bow in a smaller size for my tiny toddler. Next I made the Spiky Bow. I really loved the look of this one. Lots of colored ribbon all bound together. I can totally see tons of these in our future. Also they are really fast. Finally, I made this flower bow. I think this is my favorite. Several colors and sizes of flowers. Looks way harder than it actually was. Took me no time and it is so pretty. My little girl loves it too! Overall, I was totally impressed by all the choices for bows. Some really simple and others a little more complex, but all totally doable and cute. You might think the book stops there. NOPE! There is more. It also includes tutorials on doing bows for packages and gifts. There are also a couple jewelry projects like the one below and at the end of the book she also includes several project ideas using ribbon. Like a wreath or decorating flip flops (which I am so going to do). The Beaded Ribbon Bracelet is really beautiful. I found some pearl beads, like these, for inexpensive. Then I just picked my favorite colored ribbon. Got my elastic thread and got sewing. Isn't it gorgeous!! I am pretty sure this is now my go to gift for everyone! Overall, I am totally happy with this book. It is a great read and has some really great projects. You really need to go check it out yourself. I mean it. 50 Ribbon, Rosettes, and Bows to Make is worth the buy. It would be a great gift for the holidays too!! Don't forget to check out our 2 tutorials for storing your hairbows: DIY Headband Tower and the Hairbow Canvas.